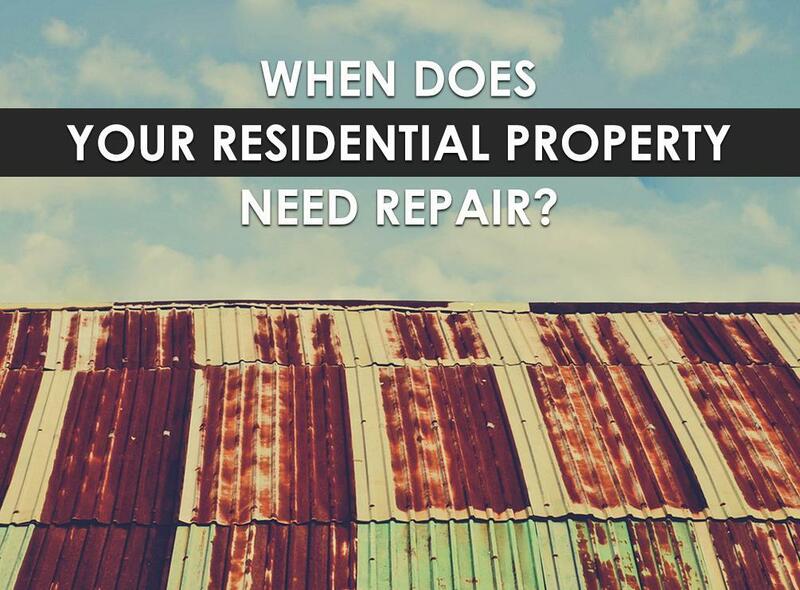 When Does Your Residential Property Need Repair? Home / Roofing / When Does Your Residential Property Need Repair? Your roof has its own way of telling you that something’s wrong. Look for signs of developing cosmetic imperfections and read on for tips from your local roofer. Water streaks on the ceiling usually indicate a leak. No matter how negligible they may look, don’t take them for granted. Although the wet spots are just present in a particular area, they might do more damage than you think when unaddressed. The same could be said about streaks on exterior walls. When they worsen after every rain, it might be a flashing issue. You need to find the source of the leak ASAP. Call our team to perform a thorough evaluation to identify the culprit quickly. A trained eye needs to look at it to track down the leakage and verify if it’s really a roof problem because in some cases, faulty plumbing is behind the heightened levels of moisture. Shingle balding is a sign of deterioration. Shedding their granules is just part of aging, telling you they’re nearing the end of their service life. A few loose granules isn’t necessarily a cause for concern, but be worried when most of them are gone. Apart from aesthetic purposes, the granules protect your roof against detrimental UV rays. Without them, your shingles would be vulnerable to sun damage and go brittle. Regularly check your gutters and downspouts for granules. When you see a lot of them, get in touch with us right away. As a top roofing company, we can recommend that we replace the bad shingles, but other factors, like roof age, might render a complete replacement more financially sensible. Other than balding, many other symptoms call for reshingling. The shedding of granules could lead to cracking, signifying the shingles have gone brittle. Curling suggests that your attic is overly hot, frying your roof from the inside. Critters might be why you keep losing shingles. They could bruise your shingles and damage the sealant strip underneath. Let our team work on your roof to provide the necessary services. The faster you deal with roofing problems, the less you have to worry about the state of your home later on. Call us at (865) 688-2888 and let’s talk about your residential roof.